Pam Robertson would love to help you find your new homesite at The Reserve of Fox Run! 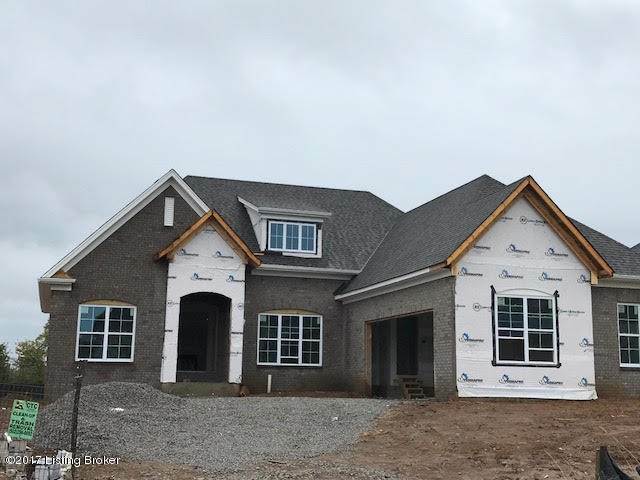 This new development features 64 homesites in both Jefferson County and Oldham County! The homesites are surrounded by an abundance of greenspace. The great location of The Reserve at Fox Run gives you a secluded feel but has all the needed conveniences are close by. The custom homes in The Reserve at Fox Run will be built by a selected group of local builders. Stop by the Info Center for more information! Let Carol Weber show you this gorgeous brick and stone home with four bedrooms and three and a half bathrooms with over 3,000 square feet of living space in Saratoga Springs. High end finishes include hardwood, ceramic tile, detailed trim, granite counters and more. The eat-in kitchen features custom cabinetry and a center island with seating adjacent to the great room with fireplace. The owner's suite features a soaking tub,seperate shower, double bowl vanity and large walk-in closet. There is a finished lower level with rec room, bedroom and bathroom. Paula Thieneman-Bates can't wait to help you find your new home at 5421 River Rock Dr. in Rock Springs! This three bedroom, two and a half bathroom ranch sits on a private lot over 2,300 square feet of living space. The eat-in kitchen feautres custom cabinetry and a center island. The great room has 12 ft. coffered ceilings and a cozy, tiled fireplace. The owner's suite has a walk-in closet, spa-like bath with soaking tub, seperate shower and double vanities. The unfinished, lower-level feature large daylight windows.